“Cuantos?” he yells from his car, all of us sitting in a pile of traffic waiting to enter through the large gates leading into Guanajuato, Mexico. It takes me a moment to realize what he means. “How much?” is the translation, and he’s asking me for what price I’d sell our Volkswagen Bus. I laugh and shake my head, clearly indicating it’s not for sale, then pop her into first gear and proceed into the heavy traffic. We wind, engine hot, through narrow streets that culminate into underground tunnels shuffling us to who knows where, but hopefully our destination. Eventually, a small mountain climb later, we’re in a parking lot overlooking the city. 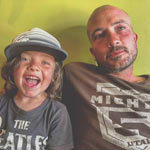 Our friends, the Mali Mish crew, have been here a week. We laugh at our collective lack of Spanish as a woman, a bit on in her years, somewhat plump, walks up to me and presumably asks me how long we’ll stay for, and gives us a price for the time we tell her. Mali Mish leaves, headed south to Oaxaca, as we set up camp. 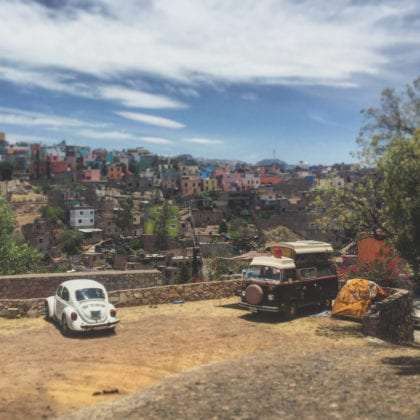 We’ll be nearly the only other travelers in this parking lot overlooking the colorful hillside houses of Guanajuato for the next week. The majority of our neighbors here at Morril RV Park (a stretch of a name for the place) will be commuters looking to pay a bit less for parking in exchange for a steep walk back to their cars come quitting time. We experience this walk daily. 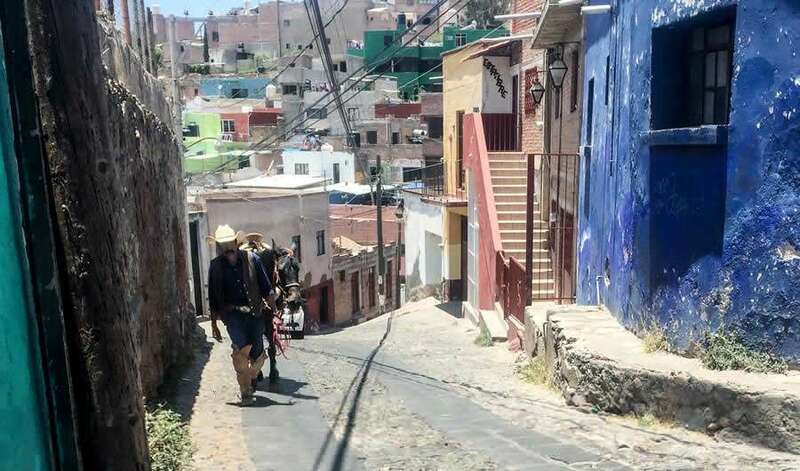 Down, down, down and through the winding cobblestone streets, passing by fruit stands and bakeries, corner stores and those returning from the downtown holding onto telephone poles as they try and catch their breath. 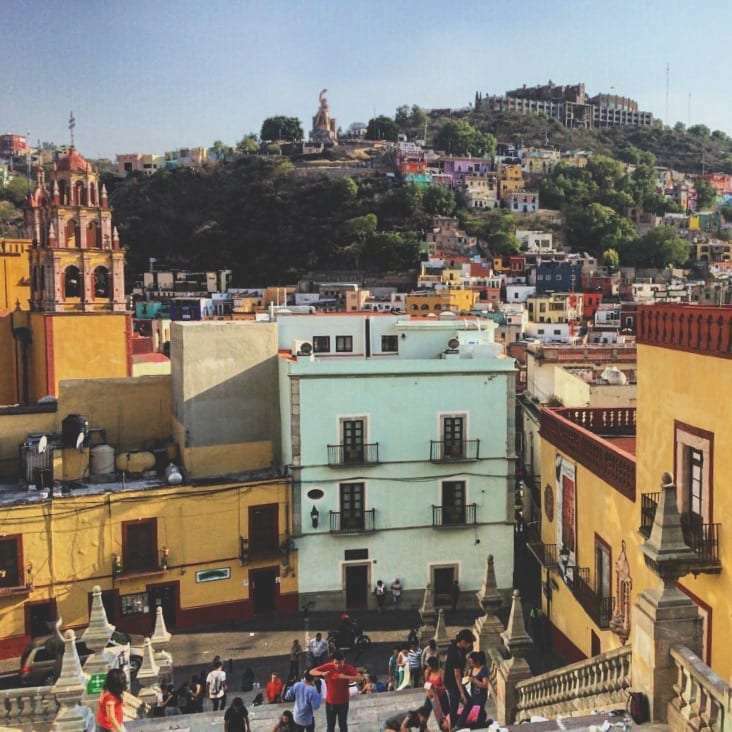 Winding streets of Guanajuato, Mexico. The town’s centro is bustling, always. Restaurants and church bells chiming all the while, street performers and the Don Quixote Museum, cafes papering the air outside of their open doors with the promise of caffeine while college students and Catholics alike fill the streets with their daily to dos. The food at Truco 7 lingers as one of the few places we visited more than once over the weeks. A waiter at a different restaurant literally laughed at us when we tipped 20%. We gave the mummy museum a pass, what with our young children. The day we decided to leave, only out of fear that our Temporary Vehicle Permit was dwindling, we found that our clutch cable was broken. Quite the interesting climb out of town, and on our way to San Miguel de Allende, though god, the scenery between was breathtaking.